Rob Tillett has been an astrologer for more than three decades. A poet, musician, magician, healer, dramatist and composer, he is the editor and publisher of Astrology on the Web and has written many of the articles on this website. How does Astrology differ from Astronomy? Astrology is to exact astronomy, what psychology is to exact physiology. In astrology and psychology one has to step beyond the visible world of matter and enter into the domain of transcendent spirit. Astronomy is the science of mapping the positions and movements of celestial bodies and other phenomena beyond the Earth's atmosphere. A branch of physics, it seeks to discover what these bodies are made of, where they come from, and how they interact, using sophisticated technical equipment and complex mathematics (almost all professional astronomers these days are science graduates with PhD's in Physics or Astronomy, so we could expect them to be pretty sharp—or at least we could hope so!). A material science, astronomy since the 18th Century has become generally hostile to astrology, but we should remember that this contemporary scientific endeavour grew out of the ancient art and science of astrology. and a mixture of chronology, religion and politics, for planning agricultural, political and religious events, such as sowing and reaping, timing of social and religious festivals, ceremonies, military action, and so on. These three were intimate functions of the role of astrology, along with the observational cataloguing of planetary motion among the fixed stars, the prediction of eclipses, etc., now served by astronomy; weather forecasting, now served by meteorology; and healing, especially the balancing of temperament through the powers inherent in plants, gems and minerals, now broadly served by medicine. It should also be noted that the unknown geniuses who originated the system of the zodiac and the mythologising of the constellations were spiritual masters who were able to attune themselves both to physical nature and also to the metaphysical wellsprings of being in the world. Practical science today is more limited in scope. It is primarily materialistic, seeking consistent, empirical explanations for events in the world, and sorting any data gained in the process into a body of theoretical knowledge. [I should say bodies of knowedge really, since there are a number of sciences, not all of which agree with each other at quite fundamental levels. Even astronomy itself is riddled with peculiarities and inconsistencies—e.g., the classes of spectral types—much like any human endeavour!] The idea is that this knowledge may be used to explain and predict other events with some degree of reliability. Science, however, is very much a way of looking at the world that defines what is true and what is false according to the current set of theories (organised, coherent belief systems) popular with the scientific community at the time. The progress of scientific knowledge reminds me of the way a heat-seeking missile switches from side to side, correcting its errors as it homes in on its target. Science is pragmatic. It does not believe in absolute truth. Modern astronomy holds to a heliocentric view of our solar system, cracking open the ancient geocentric viewpoint constructed by Aristotle and formalized by Ptolemy. 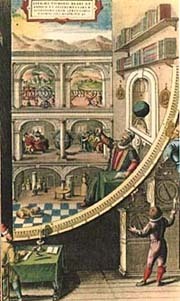 Astronomers using powerful visual and radio telescopes observe that the universe is enormous beyond description in relation to the Earth; so they reject the idea that celestial factors in an illusory geocentric system can have any effect upon terrestrial existence, on human beings in particular. They believe that there can be no action at a distance, and that the discovery of new celestial factors must overthrow, or at least supersede the supposed primacy and influence of the old. Contemporary quantum mechanics does argue that there must be a sort of action at a distance (quantum entanglement), but the idea of the universe being in any way spiritual or purposive is widely decried. Astrologers, on the other hand, take a more symbolic and holistic position. The geocentric view is employed by most astrologers in their calculations because this is how the cosmos manifests to a simple observer here on Earth. [This is not to say that astrologers deny the science of the heliocentric system, just that chart calculations are geocentric.] Astrologers hold that the symbolic patterns superimposed on the celestial sphere surrounding the Earth are not just material locational devices, but are primarily significant as keys into our understanding of ourselves, of nature, and of the purpose of existence. This is a completely different paradigm (set of theories), one that includes a spiritual reality—the potency of consciousness—and which appears to conflict with the current paradigms that lie at the basis of contemporary astronomy and cosmology. Science as taught today is a relatively recent phenomenon, based on a set of ideas which has been effective in explaining the material world up to a point. It has rid us of many pre-scientific superstitions and misconceptions based on false information. But have we thrown the baby out with the bathwater? Our scientific paradigm has generally been unable to perceive meanings in the effects of simple natural relationships, including the effects of our relationship with cosmic influences, such as the planets, the Sun and the Moon. Yet it has not always been so. Thousands of years of detailed observation of the stars, intuitive connection of the dots, and careful correlation with events on the earth have shown all things in our world to be interconnected and that the connections may be mapped by observing the positions of the planets within the framework of the zodiac. The zodiac ("circle of animals") is a symbolic framework mapped onto the starry belt of the heavens, as seen from the Earth. The essential character of astrology is one of formalising a deep intuitive understanding of nature and of human consciousness in terms of these symbolic expressions. The symbols used in astrology express and mediate the deepest and most subtle manifestations of the world, in a language that is luminous with meaning and yet capable of practical application in terms of the events, emotions and relationships that model our lives, our aspirations, our societies and our environment. Astrology is a scientific way of looking at the world, but it is one which is not favoured by the broad mass of scientists at present, because it explains the world using a different paradigm from those which are routinely accepted within the orthodox scientific community. This may change, as scientific theories develop and as extravagant reactions to past excesses begin to gain a perspective. Astrology, the mother of all science, may soon return to her rightful place in the universities! Astrology on the Web: Is Astrology Scientific?